at Capital One's Secure Site. 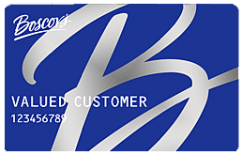 Boscov’s Credit Card is a credit card that any Boscov’s fan should consider getting. You can use Boscov’s Credit Card either in the store, over the phone, or online. Boscov’s is a favorite amongst shoppers who are seeking the perfect accessory to an outfit as well as shoppers who need to stock up on basic wardrobe needs. The Boscov’s Credit Card liberally rewards their shoppers with 4 points for every dollar spent. That is far more generous than other rewards cards, because Boscov’s Credit Card believes in rewarding their loyal customers with extra perks and incentives. Does this sound like a good card for you, but you worry that your credit is not quite up to par? You don’t have to worry. The Boscov’s Credit Card values you as a shopper and won’t punish you if you are young and haven’t had the time to build excellent credit, or perhaps have made a few errors in the past. Boscov’s wants their card to be in your wallet, so only a fair credit score is required to apply and be approved for the Boscov’s Credit Card. Best of all, the Boscov’s Credit Card does not charge an annual fee, so you can keep this card for the long term, and boost your average age of credit while you do. The benefits don’t stop there. The Boscov’s Credit Card also offers exclusive sales and reward events for their cardholders. You will feel like an elite insider when you carry the Boscov’s Credit Card. As a special bonus, you will also receive a 15%, up to $100, discount the first day that the card is activated. Earn 4 Points each $1 spend. Exclusive sales and rewards for card holder. You can use your Boscov’s Credit Card to make purchases online, in-store and over the phone. Get up to 15% off, maximum discount of $100, the first day the account is activated.